At Legacy Housing our brand launched in 2005, Legacy Housing might be the new kid on the block, but one step into our custom built homes and you will immediately take a liking to our family efficient floor plans. The quality & craftsmanship of each intricate detail will of course speak for itself. Yet, with one look at our sticker price, you just might want to pack up the kids and move in that very day. 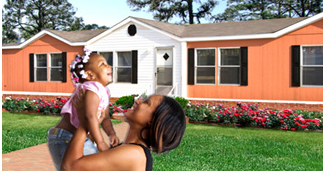 Our founders started Legacy Housing, LTD with a purpose. After decades of owning some of the nation’s largest dealerships, selling & financing homes to thousands of American families, knowing what customers really want in a home, lifelong friends Kenny Shipley & Curtis Hodgson decided to start a company that gives the customer exactly what they desire in a new home. A high quality, amenity laden house built with American ingenuity, that is thousands less than the similar floorplans from big company competitors. Based in Fort Worth, Texas, Legacy Housing’s quality and master craftsmanship is a direct result of our proud Texan heritage. Our craftsmen are made up of dedicated men & women who know a thing or two about hard work and high quality. With over 132 retailers located in Texas, Louisiana, Oklahoma, New Mexico, Kansas, Arkansas, Missouri, and Mississippi, Legacy Housing is quickly making it’s presence known. Considered as one of America’s premier factory built home brands, Legacy has raised the bar in factory built homes. Founded on an unwavering dedication to its craft and to it’s customers, we have strived to build homes ideal for the American family. With an industry leading quality assurance team ensuring our homes are not only well built, but built to last. 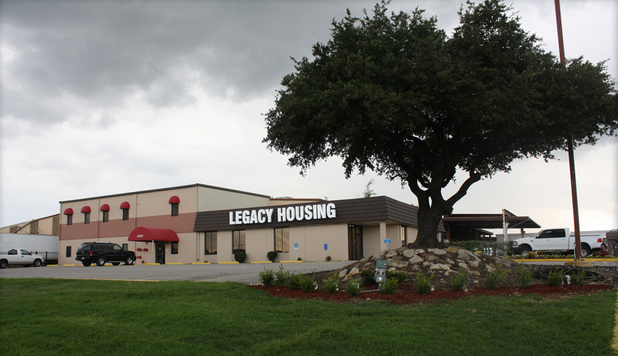 Legacy Housing is breaking new ground in overall customer satisfaction. Our talented engineers are committed to developing homes that fit the needs of all types of families across the country. With innovative floor plans, colorful decor & flooring selections, state-of-the-art options and time-saving amenities to choose from, we create homes that your family will cherish for decades to come. Our company motto is simple, “Built with quality materials, delivering the highest value”. It’s our legacy to our customers and we will never waver from that commitment.